Gutter flooding is one of the most common guttering issues that plagues most homes in Sydney. 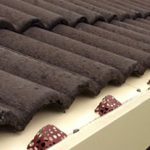 Sydney homeowners find it hard to cope with this guttering issue because this area is constantly exposed to tough weather conditions such as frequent heavy rainfall. If your home’s gutter flooding is already getting out of hand, rest easy, Easy Fall Guttering can help. Easy Fall Guttering is dedicated to effectively reduce gutter flooding in Sydney. We’ve designed EASY FALL™ Leaf Guard & Ember Guard to keep debris and other rubbish out of your guttering. It does not only solves gutter flooding, it also aids in solving other gutter-related issues. Our Leaf & Ember Guard’s design can adapt to different roof types and effectively solve gutter flooding. Consult gutter experts on 1800 897 444 and request schedule a free assessment. 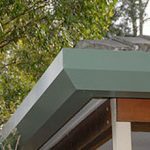 In addition, our Leaf & Ember Guard’s design has the back of the gutter higher than the front to make sure that rainwater won’t spill over into the eaves and roof. The best result? Gutter flooding gets eliminated. Our unique leaf and ember guard also features a shallow-dish effect that lets most leaves to be dried out and naturally blown away by the wind and the sun. For more details about this amazing leaf and ember guard, call Easy Fall Guttering on 1800 897 444. With Easy Fall, we assure you that gutter flooding will never give you a headache anymore. 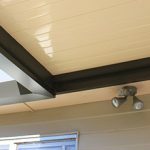 Our team has been trusted by Sydney customers because we’ve remedied major guttering problems using innovative and patent level gutter products for many years. Others can’t even provide our amazing gutter flooding solutions that really work. Indeed, Easy Fall is a guttering solutions provider like no other. Sydney, New South Wales’ capital city, is among the most popular cities in the world. Sydney is popular for its Sydney Opera House, a multi-venue performing arts centre with a unique sail-like design. It is also the largest city in Australia. Results of the 2016 census show that Greater Sydney has a population of 4, 823, 991. Out of this figure, 1, 247, 047 of the population consists of families with and without children. More than half of the population are people born in Australia while the rest are people born overseas. Sydney is also known to have one of the most expensive real estate markets worldwide – even more expensive than New York City and Paris. In 2006, there were already 1.5 million dwellings in the area that includes detached houses and semi-detached terrace houses. These figures can be attributed from Sydney’s rich and constantly growing economy, plus the influx of migrants and workers looking for opportunities in the city. Western Sydney Airport, Sydney Metro, and constructing three new major motorways are just a few of the many latest development projects happening in Sydney. Meanwhile, if you’re a Sydney homeowner, make sure that your home is aligned with Sydney’s fast-paced life and constant development – a home that’s properly functioning with less to none damages. Gutter flooding elimination is one of the steps you can take to a damage-free home. How? Let our Easy Fall experts discuss it to you. Call us now on 1800 897 444!